The world stands by in horror watching the Syrian War crisis unfold in the news. Now with over 150 countries, paramilitary groups and terrorist groups involved, there is no answer to the question of how to create peace. The harsh reality is that the peacekeeping and peacebuilding needed to start before conflict escalated into a civil war. The Syrian War was brought about following the Arab Spring; a series of protests by disgruntled, hungry and thirsty citizens in numerous Arab countries. In Syria, the situation was dire. Syria was in the midst of a six year drought; the worst drought experienced in the country in over 900 years. According to the United Nations, between 2006 and 2011 the drought caused 75 percent of Syria’s farms to fail and 85 percent of livestock to die. The exodus or refugee, and internally displaced person crises were well underway long before the first bombs fell. “The drought had displaced Syrians long before the conflict began. And what is frightening is that analysts who study the region completely missed it,” stated Francesco Femia, President of the Center for Climate Security. Calls for President Bashar al-Assad to step down were not only unsuccessful, but went without adequate response both by al-Assad and the international community. From the beginning, the Russian Federation has been involved, claiming Mr. al-Assad to be a viable ally of President Vladimir Putin, when the only thing that will be left if the Syrian War continues will not be Syrians in Syria, but vast oil reserves. “The devastating civil war that began in Syria in March 2011 is the result of complex interrelated factors. The focus of the conflict is regime change, but the triggers include a broad set of religious and sociopolitical factors, the erosion of the economic health of the country, a wave of political reform sweeping over the Middle East and North Africa (MENA) and Levant region, and challenges associated with climate variability and change and the availability and use of freshwater,” stated Peter H. Gleick, Water Program, Pacific Institute. Now we are facing a remarkably similar situation in Venezuela. Given that Venezuela is in South America, and not geographically positioned to threaten the European Union or the United States, the media has devoted little attention to the developing dynamics save brief clips of people lined up to purchase nonexistent food and a water shortage brought about by several years of drought. “Water is the number one human right. Ninety-seven percent of world’s water is not drinkable. If we want peace we need reliable sources of water,” stated Dr. Patrick Huntjens of The Hague Institute for Global Justice. Like Syria, there is already an exodus of Venezuelans seeking refugee status, which is expected to snowball. A 2015 Datanalisis survey of Venezuelans found 10% of respondents were working on exit paperwork. A September Datin Corp poll found that 57% of registered voters, or 12 million people, wanted to leave Venezuela. 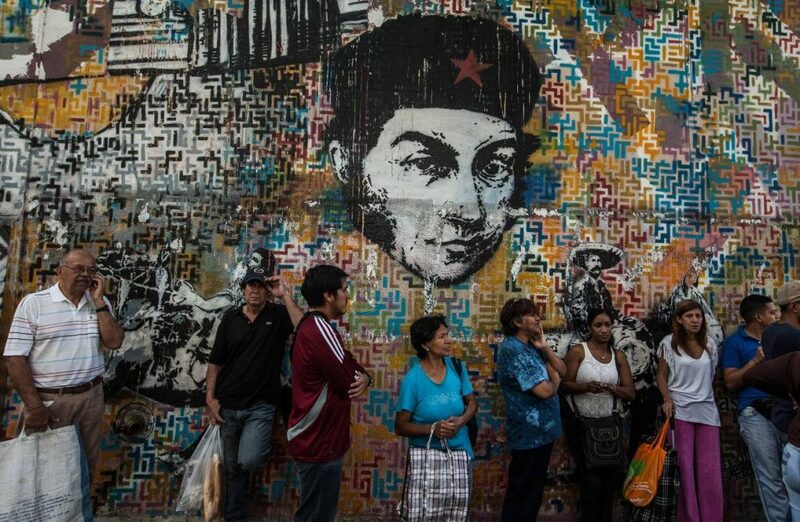 As was the case in Syria, Venezuela’s neighbors are politically and socially unstable. Brazil, as highlighted during the 2016 Summer Olympics, is plagued by violence linked to racial profiling and political instability. On September 1st Brazil’s Senate removed President Dilma Rousseff from office for manipulating the budget. In Columbia, after 50 years of civil war, in late November a second peace agreement with the FARC guerrilla group was negotiated by Nobel Peace Laureate President Juan Manuel Santos and unanimously ratified by Colombia’s Congress. Like Syria, Venezuela is a one export country – oil. An OPEC member, Venezuela has the world’s largest oil reserves. Oil constitutes a staggering 95 per cent of Venezuela’s exports, and accounts for a quarter of its economy. Russia, a non-OPEC member, has played a role in keeping OPEC oil prices down and production by other countries, such as Iran, high, by pressuring its OPEC allies, making it impossible for Venezuela to compete. President Nicolás Maduro claimed that the oil glut was a conspiracy to try and cause an “economic collapse” in Venezuela. Complaints to OPEC and its ally Russia, have been tactically ignored. What distinguishes Venezuela from Syria is that Venezuelan President Nicolás Maduro’s administration, unlike Mr. al-Assad, is not supported by either China or Russia. Mr. Maduro has few or no international allies. This opens the door to international peace building efforts before a civil war erupts. Mr. Maduro, Hugo Chavez’s successor, has responded to what is now a major humanitarian crisis by fixing the official exchange rate and ordering banks to print larger bank notes, which will further devalue the currency, while the price of goods continues to soar. This has precipitated rampant inflation of 720 percent and unemployment nearing 20 percent. The bolívar is all but worthless. Meanwhile, store shelves in Venezuela are routinely empty. People stand in lines with bags of bolívars for hours on end hoping to buy something – anything — to sustain their families. Sadly, the triple digit inflation rate means that even these goods that are well outside the means of the average Venezuelan. Food shortages have forced Venezuelans to drastically cut their daily food consumption, with more than 41 percent of the population now eating just two meals a day, according to findings by local research firm, More Consulting. The only cottage industry flourishing in Venezuela is bitcoin, a cryptocurrency and a payment system. Savvy Venezuelans earn bitcoins by offering their computing power to verify and record bitcoin transactions into a block chain, referred to as mining. Successful miners are rewarded with transaction fees and newly created bitcoins. Venezuelans exchange bitcoins for other currencies, products, and services, by necessity, procured from abroad. 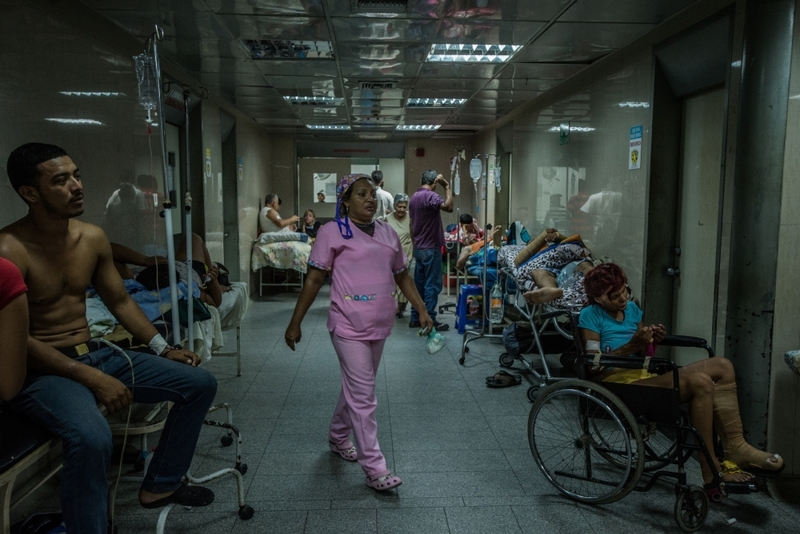 If a Venezuelan is taken ill, the situation is even direr as one in three people who are hospitalized senselessly die due to a lack of medicine and medical supplies. Doctors also report that they are seeing increasing numbers of malnourished babies. Mr. Maduro has steadfastly refused humanitarian aid offered by the United Nations, NGOs and other countries going so far as to threaten, harass, attack and prosecute NGO workers. For instance, opposition leader Lilian Tintori collaborated with Venezuelan expats who collected 100 tons of donated medical supplies which are sitting in warehouses abroad as the Maduro administration blocked their delivery under the pretext that the supplied lacked the proper governmental import permits. In February Mr. Maduro denied the opposition’s request to enroll the country in a World Health Organization programme to receive subsidized medical supplies. In May his administration blocked an effort by the opposition-led National Assembly to pass a law facilitating international aid and authorizing the receipt of medical supplies from abroad. Venezuelan NGOs have felt vulnerable since 2010 when the Supreme Court ruled that individuals or organisations receiving foreign funding “with the purpose of being used against the Republic” could be prosecuted for treason and sentenced to up to 15 years in prison. 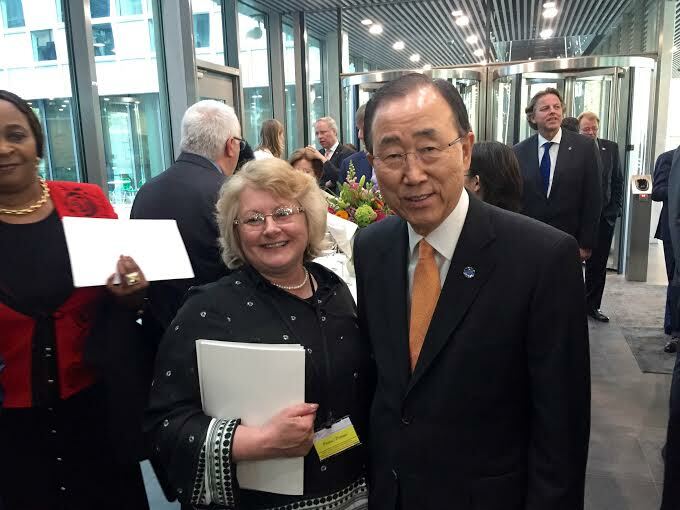 In July 50 Venezuelan NGOs penned an open letter to United Nations Secretary-General Ban Ki-moon accusing United Nations agencies of remaining silent about Venezuela’s crisis and “failing to fulfil its responsibilities”. The truth is that the workers at different United Nations agencies based in Venezuela are just as fearful as those working for other NGOs. PROVEA is one such NGO. It tackles the complex issue of human rights in Venezuela, including citizen’s rights to medicine and food. Along with PROVEA, the government has accused NGOs of receiving financial backing from foreign organisations, including the CIA, and of being agents in an international conspiracy to stage a political coup against Mr. Maduro,” stated PROVEA worker Inti Rodriguez. 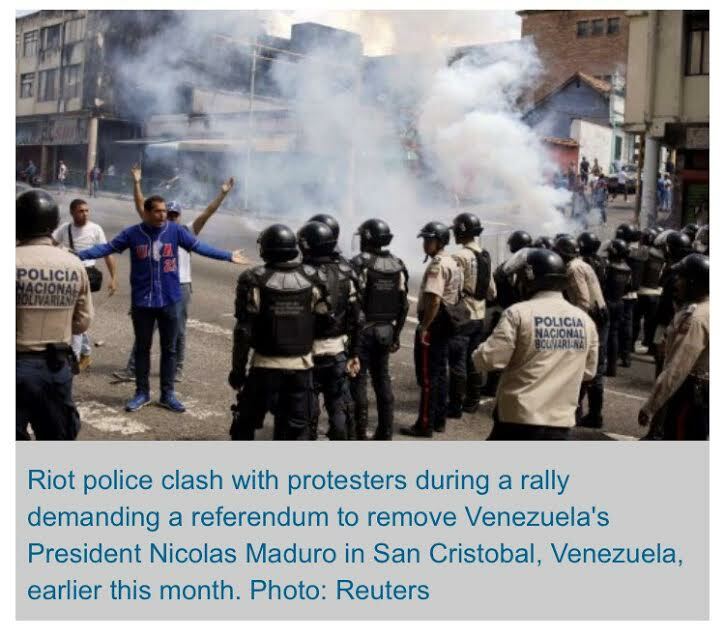 With 80% of the population calling for Mr. Maduro’s impeachment, a move the opposition Parliament was precluded from taking, hundreds of thousands of protestors have demanded a referendum election to remove President Mr. Maduro from office and to bring 17 years of socialism to a halt. The protests are now de rigueur and with each passing day have become increasingly militant and violent. Mr. Maduro accuses the opposition of seeking a coup d’état and that it is the United States’ proxy. “They are desperate, they have received the order from the north to destroy the Venezuelan revolution,” Mr. Maduro told red-shirted loyalists. In previous speeches Mr. Maduro has blamed the United States for its destabilization. On September 20th Peruvian President Pedro Pablo Kuczynski requested Mr. Kerry’s assistance in creating create a group of countries to support Venezuela amid a political and economic crisis that many fear will end up in bloodshed. “I spoke with Secretary Kerry about this yesterday, about establishing a group, because there will come a day when there’s an overnight collapse, when there’s blood in the streets, and no one will be ready,” opined Mr. Kuczynski. Mr. Kerry stressed the U.S.’s support for democratic solutions achieved through dialogue and compromise. The meeting concluded with the two countries agreeing to continue bilateral talks. We believe that the best way forward in Venezuela is respectful dialogue among all Venezuelans aimed at resolving Venezuela’s increasing political, social, and economic challenges in a peaceful, democratic, and constitutional manner. Venezuelans talking to Venezuelans, peacefully addressing the multiple and interrelated economic, political, and social challenges that exist today in their country, should be the desired end state of our region’s approach to supporting the Venezuelan people, and we believe that the OAS has a very important role to play. “The main concern in the U.S. is the risk of utter collapse and uncontrolled chaos. And that is why there is this kind of effort to keep this communication going,” said Michael Shifter, President of the Inter-American Dialogue, a Washington policy forum. There have been other efforts to mediate peace. In November, the Vatican and The Union of South American Nations (UNASUR), an intergovernmental regional organization comprised of 12 South American countries, worked toward opening a “National Dialogue” between Mr. Maduro and several opposition leaders to bridge the country’s deep political divide. The talks initially reduced the incidence of violence. In late November Henrique Capriles, opposition leader and governor of Miranda state, claimed that the Maduro administration declined to provide assurances that it would comply with the plan to establish working groups on conflict of powers; human rights; the release of over 100 political prisoners; economic reform; an electoral timetable; and confidence-building measures. Mr. Maduro’s pretext for the cessation of dialogue was the unrelated conviction of two of his nephews in the U.S. on drug charges for trafficking 800 kilograms of cocaine. The flight involved originated from Venezuela’s presidential airport. Spain’s former premier Jose Luis Rodriguez Zapatero and Mr. Shannon then visited Venezuela holding meetings with both sides. “Under Secretary Shannon traveled to Caracas as part of our ongoing effort to support the dialogue process and underscore our support for the Venezuelan people. Yesterday, he met with Foreign Minister Rodriguez, and plans also to meet with members of the Opposition, Dialogue mediators, and representatives of civil society,” confirmed State Department Deputy Spokesperson Mark Toner on November 30th. The Venezuelan delegation to the Organization of American States (OAS) withdrew from an extraordinary session on November 16th after Argentina, Brazil, Canada, Honduras, Mexico, Peru and the United States attempted to discuss the dialogue process. “[This situation with the OAS] is becoming a recurring practice of the organization’s ‘harassment’ against our country and its institutions. This situation is unacceptable for our state and its sovereignty,” read Venezuela’s official statement. Since November that has been no news of further dialogue facilitated by the Vatican. Effective December 1, 2016, Mercosur, a sub-regional trade bloc comprised of Argentina, Brazil, Bolivia, Paraguay and Uruguay suspended Venezuela over human rights violations and for noncompliance with its trade laws. The suspension occurred it failed during a three-month grace period to reform its laws to conform to Mercosur requirements, with Mercosur noting that an overhaul of Venezuela’s “rules governing trade, politics, democracy and human rights” needed to occur in order for it to maintain membership. While Mercosur’s intentions were noble, what it did was impose de facto economic sanctions against Venezuela, a move not conducive to peace building. Ms. Rodriguez called Mercosur’s move a coup attempt. It also signaled the loss of Mr. Maduro’s last South American ally: Bolivia. China and Russia, which own a significant portion of the Venezuelan national debt, have stepped in with their concern not being the welfare of the Venezuelan people but, to exploit Venezuela’s untapped oil reserves. The Venezuelan debt held by Russia since exceeds $2.8 billion. Russian President Vladimir Putin postponed payments of the debt to March 2017. While Russia has previously written vast amounts of Venezuelan debt, it has done so to preserve socialism. As a coup could occur at any time Mr. Putin is not expected to be so forgiving. However, since the economic situation in Venezuela due to the fall in oil prices to disastrous proportions, the Kremlin once again postponed the start of payments – now until March 2019. Under the new schedule, the debt is repaid in equal semiannual installments for three years. In October 2016, Maduro and Russian oil company Rosneft signed an agreement under which Russia is going to invest $20 billion in Venezuela’s oil projects in the Orinoco valley. Rather than process the oil in Venezuela, thereby creating jobs, Rosneft is going to transfer the Venezuelan oil to its Indian oil refinery plant. According to Barclays Capital, Venezuela is projected to owe China $19 billion dollars by year’s end. China’s strategy is simple and a repeat of what it did with Miramar’s natural resources: exploit the natural resources while making no demands for the respect of human rights and no capital investment in the people. “The imperative is to ensure no disruption of oil flow. The political situation takes a back seat to the importance of oil production. Even if the opposition party takes power in the future, they’ll still need Chinese loans to pump out oil,” said Mei Xinyu, Senior Researcher, China’s Ministry of Commerce. In Syria, governments, NGOs, such as The Elders, chaired by Nobel Laureate Kofi Annan, global organisations, such as the United Nations and the International Criminal Court, and even the private sector, were too slow in responding with humanitarian assistance or other interventions setting the stage for the situation to escalate into a civil war. In this case, it is not international delay but Mr. Maduro’s entrenched position placing sovereignty over the responsibility to protect; a violation of a 2005 global political commitment endorsed by all United Nation member states to prevent genocide, war crimes, ethnic cleansing and crimes against humanity. Humanity cannot allow Venezuela to devolve into another Syria. Institutional peace building must occur before an armed conflict erupts. “The time for petty politics is over. 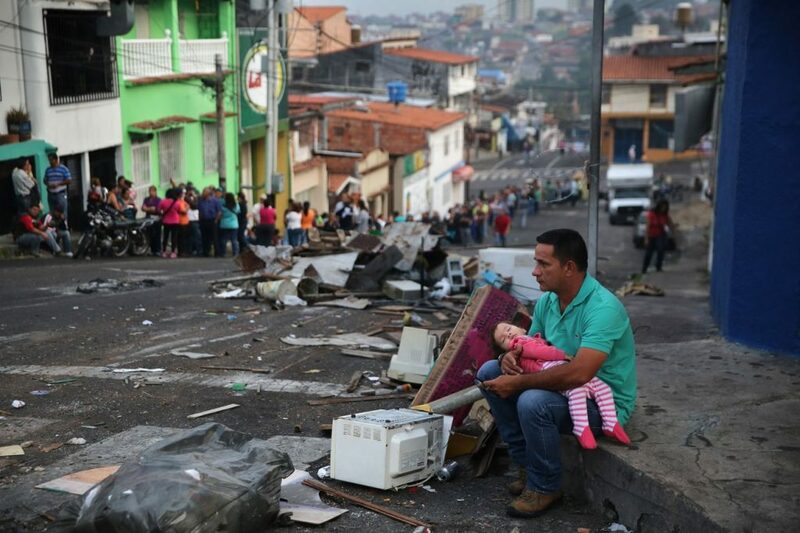 The government of President Maduro, the opposition, business owners, unions and professional associations and the international community must urgently engage in a meaningful dialogue to identify and implement innovative, efficient and non-discriminatory mechanisms to bring life-saving aid for the millions whose lives depend on it. All political actors must leave their own interests at the door and think of the people they are meant to be serving. Unless all those in power make a drastic U-turn in the way they are handling this dramatic crisis, what is already an extremely serious situation will turn into an unthinkable nightmare,” stated Erika Guevara-Rosas, Americas Director at Amnesty International. As international diplomatic efforts have failed due to the fact that Mr. Maduro has no interest in negotiating, there remain two viable options for preventing another civil war from erupting in our already turbulent world. While on December 5th the China and Russia exercised their veto power to block another UNSC resolution as to Syria, in this case, China and Russia have been careful not to issue statements in support of Mr. Maduro, and as there is no indication that the opposition party would not honor previous oil contracts, thereby increasing the likelihood the an UNSC resolution as to Venezuela could be adopted. Second, while Venezuela has acceded to the Rome Statute conferring jurisdiction on the International Criminal Court, the ICC Prosecutor has thus far failed to act on what appears to be, based on The Elements of Crimes, a crime against humanity. As many spokespersons speaking on behalf of the ICC have emphasized, the ICC is intended to act as a deterrent. Cynthia M. Lardner is an American journalist living in The Hague writing about geopolitics for Tuck Magazine and E – The Magazine for Today’s Executive Female Executive. Her blogs are read in over 37 countries. As a thought leader in the area of foreign policy, her philosophy is to collectively influence conscious global thinking. Ms. Lardner holds degrees in journalism, law, and counseling psychology. “Background Briefing on Secretary Kerry’s Participation in the General Assembly of the Organization of American States”, June 3, 2016, United States Secretary of State. Barbarani, Sophia, “Venezuelans forced to live off scraps, but aid shut out”, November 2, 2016, IRIN. “Elements of Crimes”, International Criminal Court. Gleick, Peter H., “Water, Drought, Climate Change, and Conflict in Syria”, July 2014, Vol. 6: Issue. 3: Pages. 331-340, Pacific Institute, Oakland, California. “IMPORTANCE OF PREVENTING CONFLICT THROUGH DEVELOPMENT, DEMOCRACY STRESSED, AS SECURITY COUNCIL UNANIMOUSLY ADOPTS RESOLUTION 1674 (2006)”, April 28, 2006, United Nations Security Council, UN Doc. Judy Cheng-Hopkins, Assistant Secretary-General for Peacebuilding Support, UN Peacebuilding: an Orientation, September 2010, Peacebuilding Support Office, UN Doc. Latouch, Miguel A., “Political Dialogue is a Lost Art in Venezuela and the Vatican’s Intervention won’t Help”, International Policy Digest, November 26, 2016. “President Maduro exalts the defense of Venezuela at the United Nations”, November 1, 2016, Permanent Mission of the Bolivarian Republic of Venezuela to the United Nations. 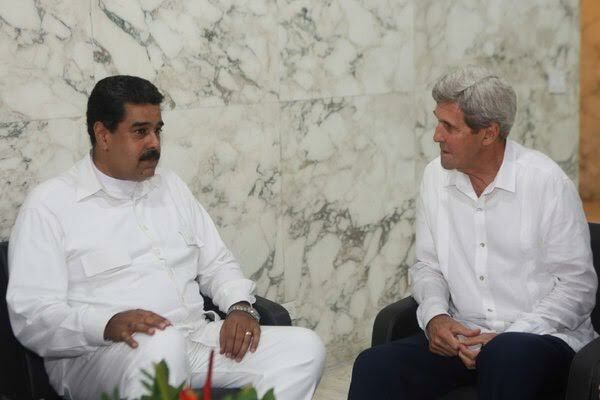 “Secretary Kerry’s Meeting with Venezuelan President Maduro”, September 26, 2016, Office of the Spokesperson, Secretary of State. “Venezuela (Bolivarian Republic of) H.E. Ms. Delcy Eloína Rodríguez Gómez, Minister for Foreign Affairs”, September 23, 2016, General Debate of the 71st Session, General Assembly of the United Nations, UN Doc. “Venezuela: Stubborn politics accelerate catastrophic humanitarian crisis”, June 10, 2016, Amnesty International. “What Is Peacebuilding?”, PEACEBUILDING & THE UNITED NATIONS, United Nations Peacebuilding Support Office, UN Doc.